Vineyard/ Origin: This Gewürztraminer is made a selection of grapes grown in our Kolbenhof estate in the hamlet of Söll overlooking Tramin. The happy combination of the particular microclimate, the southeastern orientation of the vineyard and the age of the vines make our Kolbenhof estate one of South Tyrol's great grand crus for Gewürztraminer. The vine itself is named after its origin, the wine village of Tramin. Soil: Clay with gravel and lime. Winemaking: On delivery to the winery the grapes are lightly crushed and the juice is left in contact with the skins for a few hours to enhance the wine's typical fruit flavour. 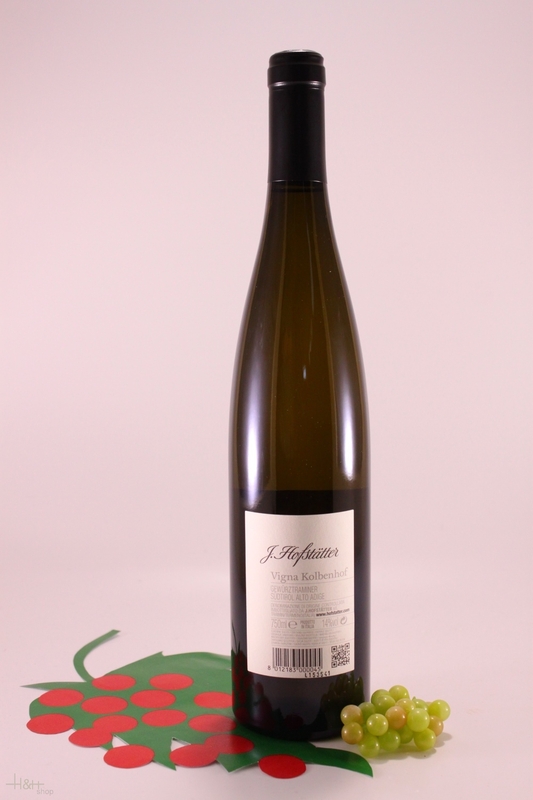 The berries are then gently pressed, the juice is clarified using natural sedimentation and fermented at a constant temperature of 20° C.
Maturation: After fermentation the Kolbenhof Gewürztraminer is matured together with the fine lees for eight months, during which period the lees are stirred up once a week (battonage). 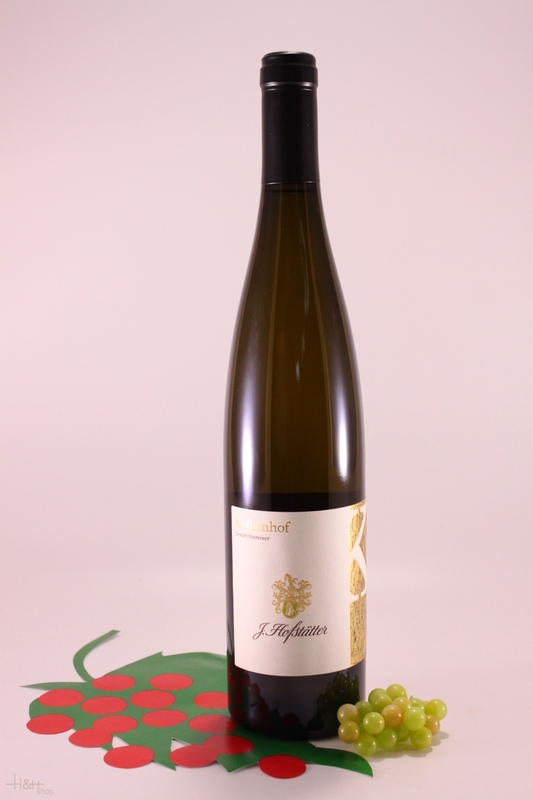 Deion: The Kolbenhof Gewürztraminer is characterised by sumptuous fruit. Deep golden yellow in colour with green reflexes, on the nose it is reminiscent of ripe apricot and peach intermingled with exotic fruits such as lychee, mango and passion fruit. The fruit characteristics follow through on the palate; full-bodied, luscious but dry, the opulence cut by vibrant, firm acidity finishing elegant, dry and aromatic. Food Choices: This wine is delicious enjoyed in solitude, though it is perfect to accompany shellfish, oysters or foie gras, sophisticated fish dishes.